The car park has automatic number plate recognition (ANPR), so if you give us your car registration number when you book, you'll save yourself time. Just wait at the entry barrier while the camera reads your number plate. Don't press the button for a ticket - the machine will give you one automatically when it has recognised your number plate, and the barrier will lift. Then just drive in and park your car. You don't need to go to the pay machines in the terminal. Drive to the exit barrier and put your ticket into the slot - the barrier will lift automatically. If it doesn't, press the intercom button. Make sure you have a copy of your booking confirmation with you. The car park is patrolled 24 hours a day and has CCTV, entry and exit barriers and a fence. It holds the Park Mark, a national security award accredited by the Association of Chief Police Officers. 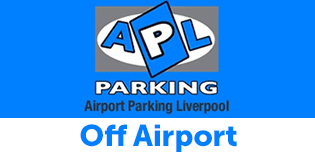 The Multi-Storey Car Park at Liverpool John Lennon Airport is the perfect option for you. Situated undercover away from the elements and directly opposite the terminal building, the Multi-Storey Short Stay Car Park is ideal for those who are away for a few days on business or planning a family holiday. This car park also couldn’t be closer to the airport with just a minute’s walk to check-in, meaning you will have more time to relax before your flight. Disabled parking spaces are located at the front of the car park, they are subject to availability.